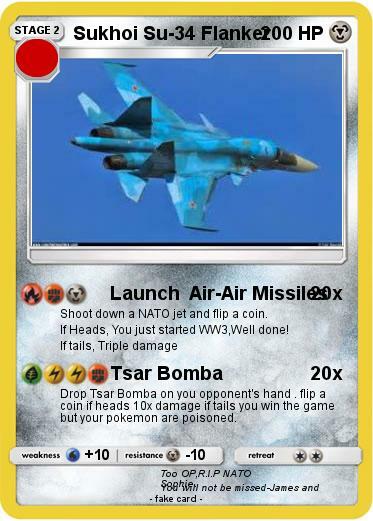 Drop Tsar Bomba on you opponent's hand . flip a coin if heads 10x damage if tails you win the game but your pokemon are poisoned. Comments : Too OP,R.I.P NATO You will not be missed-James and Sophie.